Task Force To Monitor Delhi\'s Public Utility Projects, HC Told. For citizens of Delhi bemoaning the perennial delay and shoddy execution of civic and public. New Delhi: For citizens of Delhi bemoaning the perennial delay and shoddy execution of civic and public utility projects in the capital there is hope at hand. A “'high level task force” is on the anvil for devising a modern system of governance for planning, execution and monitoring public utility projects to turn Delhi into a world-class city, the union government has informed the Delhi High Court. The task force will devise a mechanism to fix “single-point accountability” for non-performance by agencies involved in civic infrastructure projects, the government said in an affidavit filed with the high court. The Centre said the task force will oversee a nodal agency for "effective and efficient coordination between civic agencies engaged in public welfare projects". The Centre said the task force will have representation from various stakeholders, including the Delhi Police, the New Delhi Municipal Council, the three civic bodies, the Public Works Department, the Delhi Development Authority, the Delhi Metro Rail Corporation and the Unified Traffic and Transportation Infrastructure (Planning and Engineering) Centre, as also experts and consultants from various fields and representatives of various departments. The affidavit was in response to a public suit, on which the court had directed the union home secretary and Delhi's chief secretary to name a consultant, a think-tank or an expert to suggest ways to turn the national capital into a world-class city. A division bench of Chief Justice G. Rohini and Justice Jayant Nath had remarked that despite expending huge funds and best intentions of the officials, the city is not able to achieve the world class status to which it aspires. The government said that the task-force will put in place an appropriate mechanism and recommend modern tools, systems and policies of governance/administration in the concerned agencies. "There is an existing arrangement of clear division of functions and responsibility between various agencies of the government for providing civic facilities for the benefit of the general public, including special facilities for persons with disabilities," the affidavit said. "These agencies are responsible for installation, maintenance and regular upkeep of the civic infrastructure in their respective fields of operation and areas of jurisdiction. 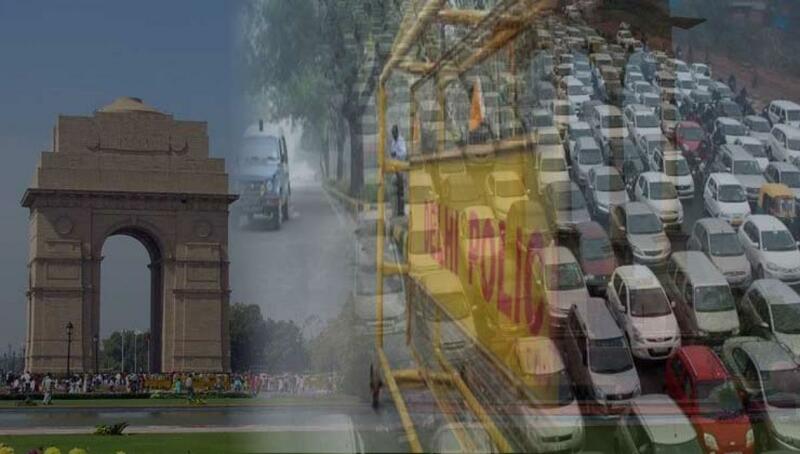 "There is a need to align and further coordinate the system of governance with changing demands and modern management technologies so as to ensure an effective and efficient administration in the National Capital of Territory of Delhi," it added. It said, the task force, which should meet at least once in a month, will also recommend standards on infrastructure facilities for the disabled.